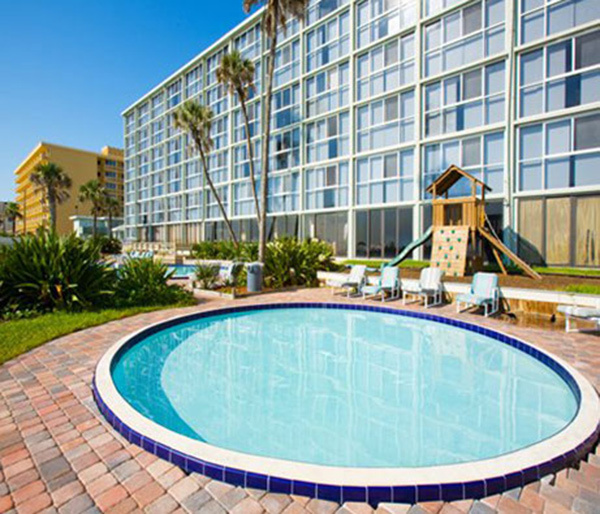 Relax at the outdoor pool that overlooks the beach, or soak up rays at the second pool in a landscaped courtyard. Play shuffleboard at the resort or enjoy golf, tennis, horseback riding and racquetball all within five miles. A full-time activities director is on staff to assist you. You'll find a wealth of Orlando-area attractions within a 90 minute drive of our Ormond Beach, Florida resort.